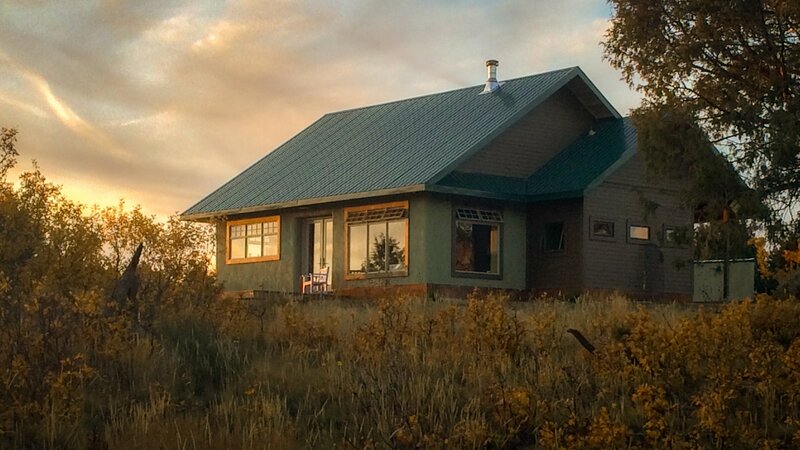 Nestled in the foothills below Hesperus and the rest of the San Juan Mountains, this beautiful home takes in the amazing views that descend from every direction. Built for Diane Bush and Dan Miller to retire in, together we designed a home that would function in accordance with the variable seasons of the southwest. The weather that formulates when the desert meets the mountains is often glorious, but it can also be harsh. Diane and Dan wanted a home that would keep them safe and comfortable while weathering any conditions. They also wanted a home that blurred the lines between inside and outside and would offer them access to the wonderful outdoor environment around them. With Mesa Verde National Park out their window to the west, they can often watch the passing storms morph into the most breathtaking sunsets the west can provide. 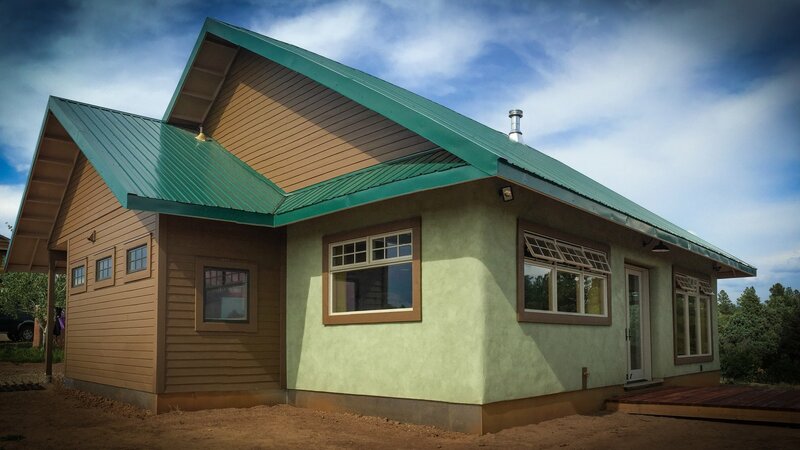 My husband and I hired Tim Scursso of Solarwise in late 2013 to design and build an off-the-grid straw bale house on our property in southwest Colorado. Dan and I had heard horror stories about building a house and were concerned about how house construction would impact our relationship and bank account. Fortunately for us, Tim’s positive attitude, enthusiasm, and confidence put us right at ease. He visited the site even before we signed a formal contract and his attention to both large and small concerns—from our limited budget to the pieced tile work on the thresholds and window seats never flagged in the year and a half of construction. We moved into our 1,400 square-foot house in July 2016. The best way to describe Tim is that he’s a practical perfectionist—his skills allow him to strive for the highest quality while being attuned to time and financial constraints. While he’s extremely familiar with straw bale construction and off-grid house design, he isn’t afraid to research and implement new methods. One example is his hybrid design style that incorporates both post and beam and traditional straw bale techniques. 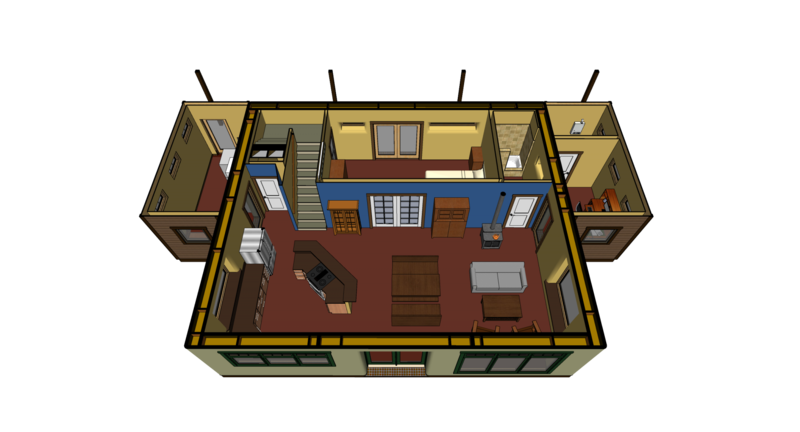 Another is his use of a computerized design program that gave us 3-D access to the house’s specifications and made updates easier. We met in person several times to fine-tune the design and toured several of his finished houses along with his then current project. Watching him work and guide his team was enlightening and reassuring. He patiently explained each step of the process and told us what to expect. Each visit, email, Skype session, or phone call only confirmed what we knew the first time we met him: we’d chosen the best person to build our dream home. Once construction began, he deftly handled subcontractors while leading a small team in the day-to-day grunt work. We appreciated his willingness to teach us how to trim and stack straw bales and assist in applying the color coat to the last layer of plaster, giving us a physical connection to the space we’d soon inhabit. He took our simple ideas and executed them flawlessly. Once we saw the angled light of an early spring sunset illuminate the 5-foot-tall relief of a shining sun on our north exterior wall, we realized that it wasn’t just our house: it belonged to Tim too. Similarly, his artistic touches turned our interior truth window into a work of art in itself. Of course, no project is without difficulties, and Tim handled ours with professionalism and genuine concern. When the color of the interior clay paint didn’t quite complement our red concrete floor, he spent extra time hand blending pigments for a warmer tone. He exhibited the same care when the green color coat we chose for the outside plaster didn’t quite match our vision. It took more time to get it right, but he mixed the exact sage color we wanted. He also took our needs into consideration when the house wasn’t quite ready (due to delays caused by tile and electric subcontractors) for our housewarming party. He worked overtime to ensure the house was ready for our guests—many of whom came from out of state—and was as proud as we were to show off his impressive creation. 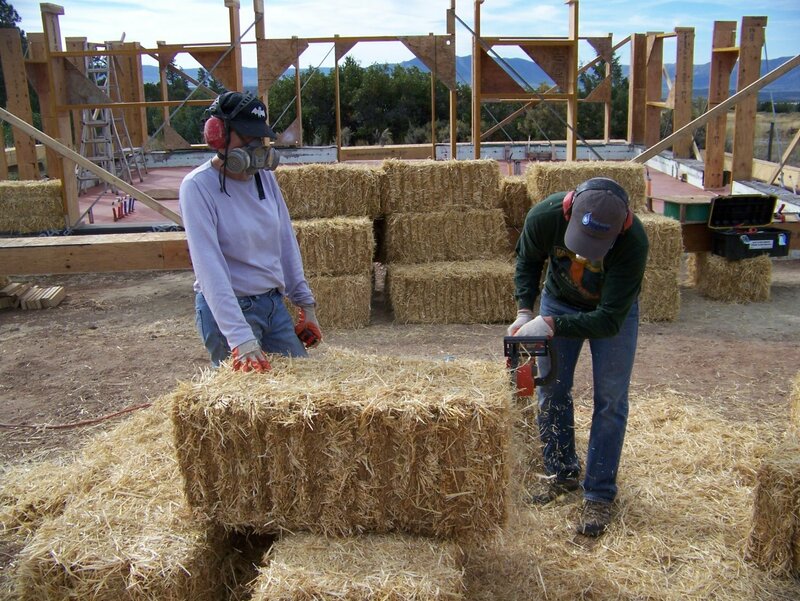 We would unequivocally recommend Tim for building your straw bale home. He is the true definition of a consummate designer/builder, and we are proud to consider him a good friend.